Poe just kills me, seriously. That kid is adorable! I'm glad Hope had fun at her bday, she looks like quite the little gymnast there on the balance beam! Happy birthday Hope! 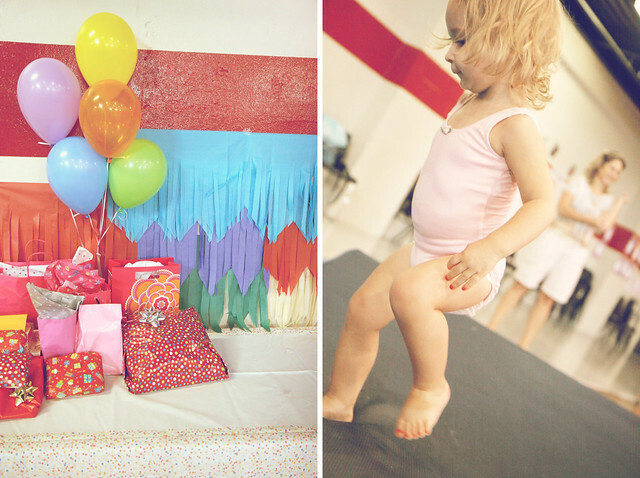 What a fun party - she's such a great little gymnast!! so fun! 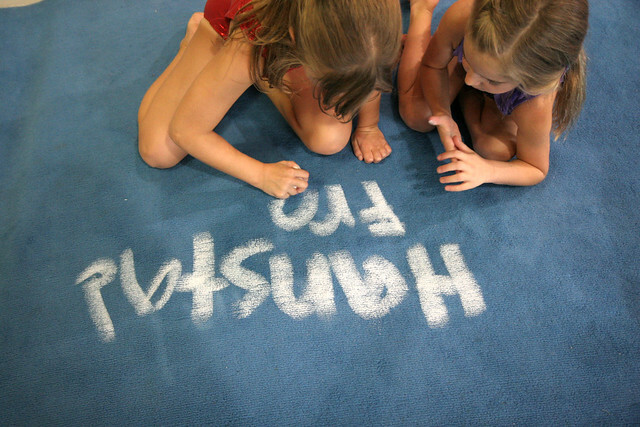 the 10 year old in me is completely jealous of hope's gymnast abilities! i would have loved love loved that! 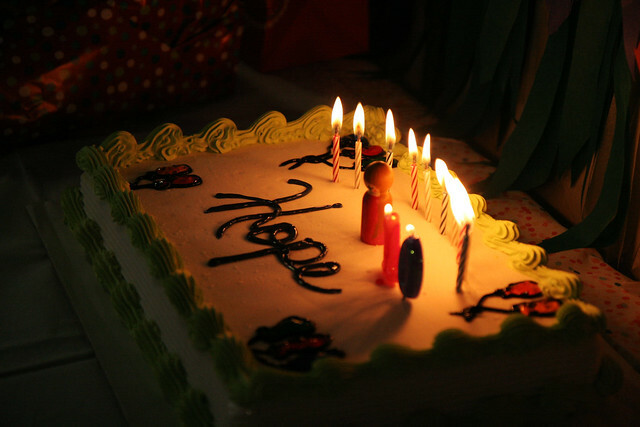 happy happy birthday to you hope! what a beautiful age 10 is! 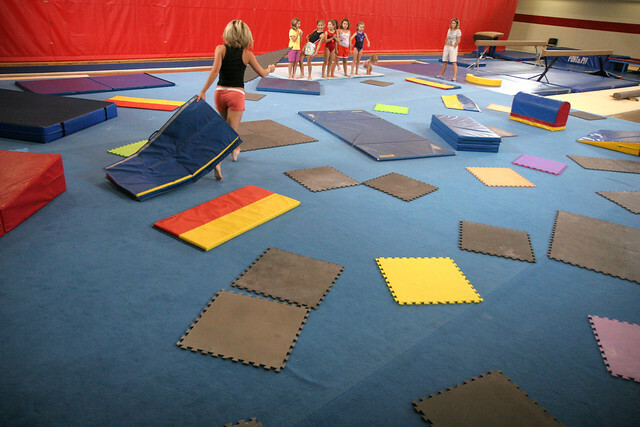 When I was little, gymnastics parties were all the rage. So fun! My parent's bought us a present on each others birthdays. I loved it and it will always be a great memory. I love Poe's little leotard too. I'll bet she loved watching the gymnastics during the Olympics! i love that she is letting everyone else open her gift - how kind. Awesome party! Happy birthday to Hope! (Wish I had the flexibility for gymnastics - haha!) She really is a lovely kid! My parents used to do the same. When it was one child's birthday, the other had a cool gift too. It was so much fun !! Hope seems to enjoy her birthday ! 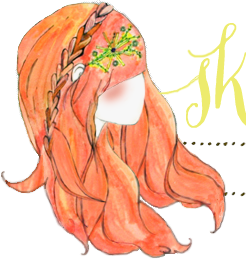 :D Congrats for organisation and stylish the event ! 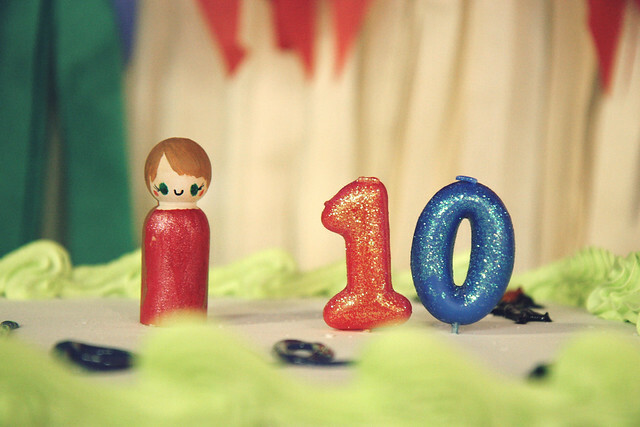 What a special birthday 10 is! Looks like Hope and all her girly girls had lots of fun. Oh, and Poe in that pink leotard with those painted nails? I die! 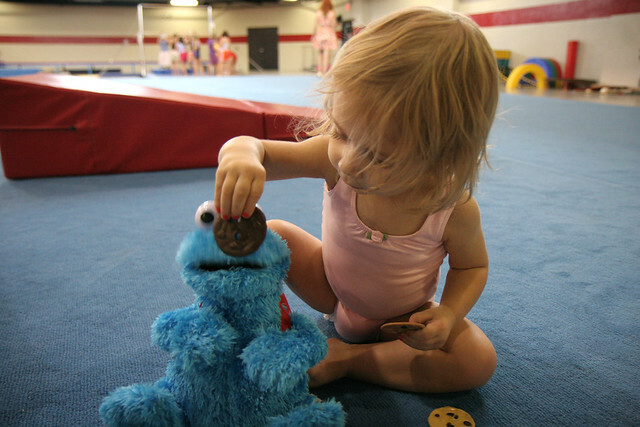 Haha trying to feed the cookie monster :) Too cute! Wow, look at Hope on that balance beam! It looks like it was an amazing time - I love all the pics. You have a magical little family lady. 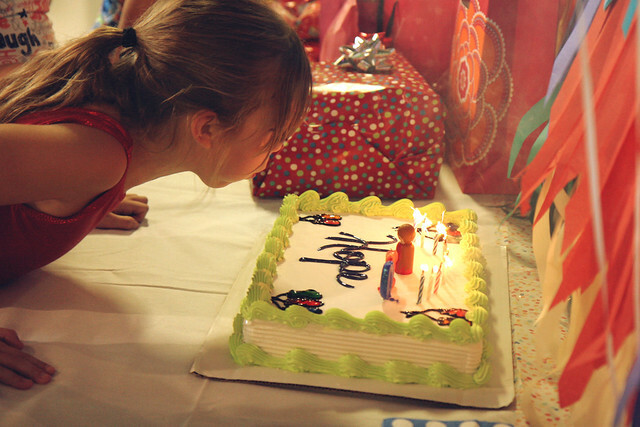 :) Happy 10th birthday Hope! Such a cute cake topper! 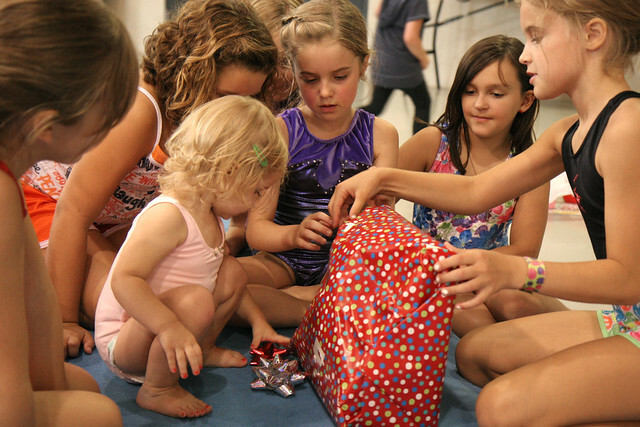 And gymnastics parties are always fun for the kids-you can celebrate at home on her real birthday and really extend the fun! This looks like so much. Time sure does fly. I know the feeling. OMG those little red toesies on Poe are ah-dorable!! That is so awesome. 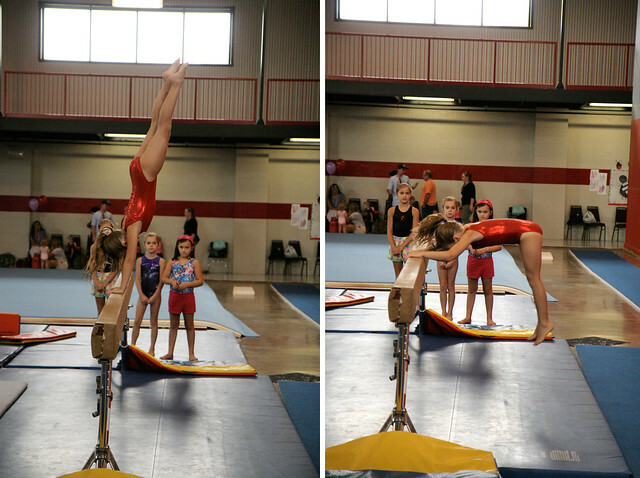 it is cool to see a little of the gymnastics dismount on the balancing beam! yey! I hope she had a marvelous bunch of birthday parties. how adorable! and look at hope go! she's so talented! oh my gosh, that last picture of Poe kills me.